As if Beyonce wasn’t already everything a woman could be and more, she’d just added Humanitarian to the list. 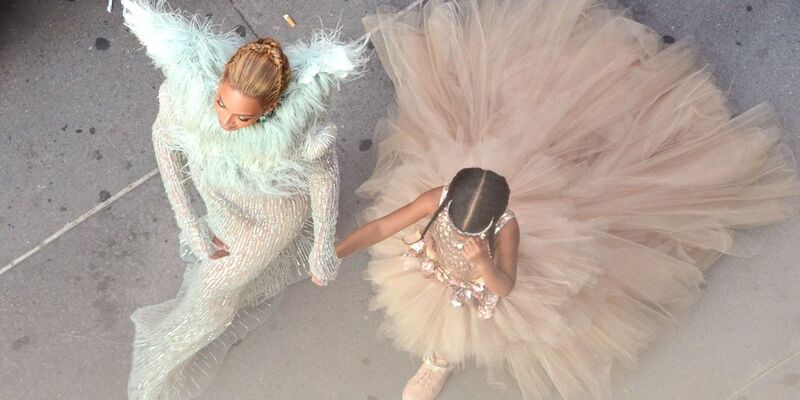 Jay-Z and Blue Ivy attended the second annual Wearable Art Gala in support of Beyonce, who was honoured for her incredible humanitarian work. The Wakanda themed gala was inspired by the astonishing aesthetic of Black Panther and held at the WACO Theatre in LA over the weekend. The Gala was organised by Tina Knowles and her Husband Richard Lawson. Bey received the 2018 Waco Theatre Humanitarian Award on stage with Hannah Brammer, a fan with Brittle Bone Disease who Beyonce has stayed in contact with and sent birthday wishes to for the past few years. What a special moment from last night as #Beyonce shares a heartfelt thank you to her beautiful mother ( @MsTinaLawson ) who is our founder/creative director and an amazing #Humanitarian in her own right, our co-founder and an incredible artist/master teacher @MrRichardLawson and all of the #WacoTheaterCenter staff. We 💜 you, @Beyonce! Next articleCheese Yum Cha- Need I Say More?